Myopia also referred to as nearsightedness, is the most common type of refractive error of the eye where objects that are close are clear but those that are distant appear as a blur. A visual acuity test is done by an eye care professional for diagnosis. There are plenty of treatments available in Houston TX; myopia control such as contact lenses or eyeglasses. The patient can also under go refractive surgery. There is also a revolutionary procedure known as Orthokeratology that is quickly becoming popular among patients. Orthokeratology is better known as ortho-K. It refers to a revolutionary procedure that is not surgical that eliminates the need for using glasses or contact lenses. 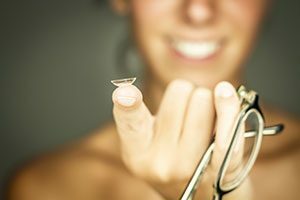 The procedure usually improves the vision of the patient by making use of rigid gas permeable contact lenses that alter how the cornea is shaped so as to correct myopia. The patient gets to wear the lenses in the night and removes them in the morning. The main aim of the procedure is to correct a patient’s vision without having to use prescription contact lenses. Ortho-K in Houston is becoming quite a popular procedure for many people. Ortho-K is an alternative to laser surgery that gives the similar results. Though temporary, it is a non-evasive procedure that has made it popular among people of all ages. If you live in Texas; Orthokeratology in Houston is an option that you can explore for your myopia. Myopia means that the surface of the cornea is misshaped and images are not focused on the retina which in turn produces a blurred vision. The doctor uses a topographer which is a high tech instrument that maps the surface of eye. The doctor can then customize a lens to correct the unique visual problems of the patient. The material used to make the lens is permeable, meaning your eye can breathe in the night to maintain top health. By wearing the lenses overnight, they change the curvature of the cornea thus changing how light is focused on the retina at the back of the eye. Our qualified Orthokeratologist will be monitoring your corneal health and how effective the treatment is. The lenses might be modified during some visits to make sure that the goal is achieved. The treatment takes anywhere between one to four weeks for the patient to achieve perfect vision. This is not always the case since some patients in Houston, TX using Ortho-K achieve results in just a day. The duration taken to correct one’s vision will depend on their initial prescription as well. Your cornea rigidity as well as your tear quantity and quality will affect the speed of the treatment. Ortho-K is a very safe and reversible procedure. However just like using any contact lenses there is risk of developing minor infections that are easily treated with antibiotic drops. Maintaining a regime of carefully cleaning and disinfecting the lenses can reduce the risk of an infection. Ortho-K in Houston, TX is a procedure that is also safe for children. With the number of myopia cases rapidly increasing, new procedures such as ortho-K are being used as alternative to treat the condition. However, it must be performed by a specialist. If you have any question, please contact your nearest Houston Optometrist.